Abimbola "Abel" Osundairo, one of the two brothers involved in the Jussie Smollett scandal, has won an amateur boxing championship title. On Friday, the aspiring actor won the Chicago Golden Gloves after a technical knockout in the first round, winning the senior novice division at the 178-pound limit. Osundairo had previously won the semifinal bout of the tournament last month by unanimous decision, competing much more dominantly in the championship match. According to Osundairo, he'd been training five days a week for the fight, though noted he's "just boxing for fun." Perhaps he's still holding onto those aspirations of moving up on Empire. 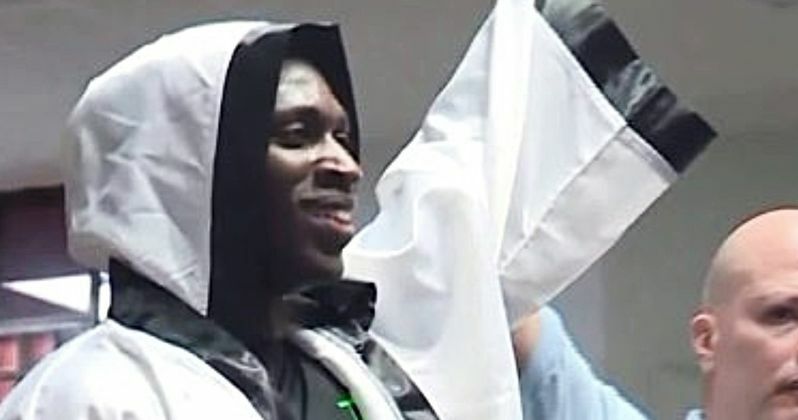 Osundairo made national news this year due to his involvement in a reported hate crime against Empire star Jussie Smollett. The story began in January when Smollett claimed he'd been attacked by two men, alleging the assault was motivated by racism and homophobia. As the story goes, the unknown assailants had thrown bleach on Smollett and placed a rope around his neck, all while shouting racial and homophobic slurs. After the police launched an investigation, suspicions started to grow about the story, and things took a dramatic turn soon after when Osundairo and his brother, Olabinjo "Ola" Osundairo, were revealed as the two men involved in the attack. With the Osundairos in custody, it was quickly discovered the two were friends with Smollett, having both worked with him on Empire. The brothers began to fully cooperate with authorities, claiming Smollett paid them $3,500 to stage a phony assault against him. Allegedly, the actor's motivation for the hoax was to garner sympathy and boost his spot and pay on Empire. The Osundairos also provided evidence to police which supported their version of the story, including text messages and the check allegedly written by Smollett for their payment. As a result, Smollett was charged with 16 felony counts for the hoax, but the charges were dropped controversially late last month by State Attorney Kim Foxx. Even with the charges dropped, public perception does not seem to be on Smollett's side. The actor was skewered last week on SNL following the news, with an apparent consensus that Smollett definitely staged the attack. Unhappy with the wasted time and money spent on the high profile investigation, the Chicago Police Department is seeking reimbursement by suing Smollett in civil court, meaning the Empire actor will have his day in court after all. Perhaps he'll manage to avoid jail time, but it's looking like Smollett is still going to have to pay for filing what authorities are calling false police reports. There's a certain irony in someone purporting to have staged an assault winning a championship fight for real. Perhaps Osundairo felt like he had something to prove after the alleged hoax, showing how he can still handle himself in a "real" fight. If he really did take part in a legitimate assault against Smollett, then perhaps the Empire star should seek vengeance in the ring. This information comes to us from The Chicago Tribune.